The number of leads tend to drop after the first days of the investigation. 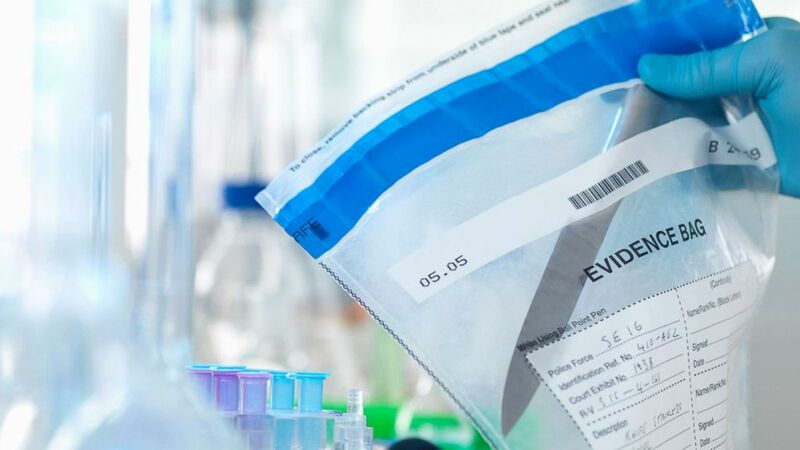 Investigators are essentially working against the clock, as with each passing hour decreases the likelihood that the subject will be found, according to criminology experts interviewed by ABC News. One of law enforcement's first steps in investigating a missing person case is trying to prevent the loss of evidence, Dr. Michelle Jeanis, criminology professor at the University of Louisiana at Lafayette, told ABC News. The first 48 hours are also critical because that's when investigators have the best chance of following up on leads, before people's memories start to fade, Dr. Bryanna Fox, former FBI agent and criminology professor at the University of South Florida told ABC News. "The information that law enforcement gets tends to be a little more accurate, and they are able to act on the information and hopefully get that person who is missing quicker," Fox said. As time goes on, there are fewer "bread crumbs" to follow, Fox said. 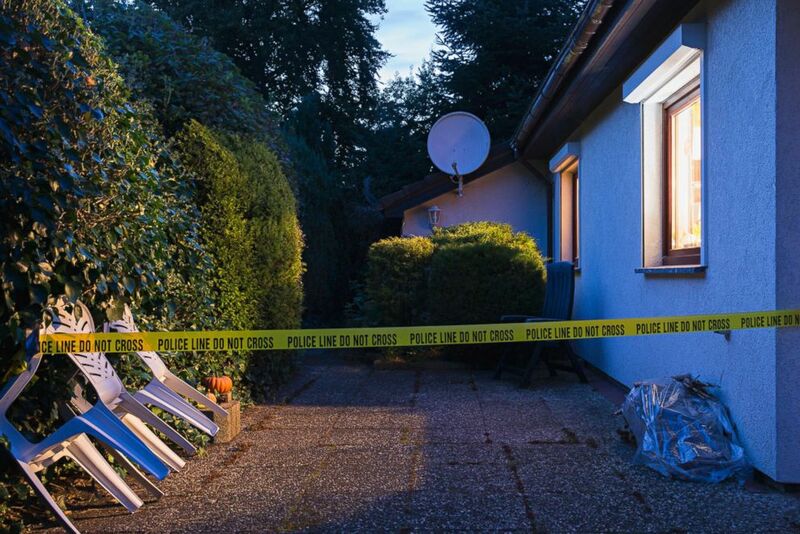 (STOCK PHOTO/Getty Images) Evidence from a crime scene is pictured in this undated stock photo. And it isn't just the person's family who investigators are looking to speak to. Law enforcement will often seek information from the public, including people who may have happened to be going on with their daily lives but witnessed a crucial moment in the subject's disappearance, said former FBI Special Agent in Charge and ABC News contributor Steve Gomez. "People usually see something, so that period of time is absolutely vital in order to find the person right away," he said. In addition, it's important to generate as much awareness and as many leads as possible, Gomez said, adding that they tend to slow down after the 72-hour mark. "That's why it's just so important to try and move the investigation along and to get the public's help," he said. Those first few days are especially crucial in the event that an individual is being transported or is in danger, Jeanis said. Investigations on missing persons who authorities believe may be vulnerable -- such as children and those with a mental illness -- are expedited because time is of the essence to get the word out to the public to look for them, Jeanis said. Although stranger kidnappings are "very, very rare," children are usually murdered quickly, sometimes within the first three hours but usually within the first two days, Jeanis said. (STOCK PHOTO/Getty Images) Police tape is pictured in this undated stock photo. For others who go missing, there is usually a point in time in the investigation when objective switches from attempting to find a live person to trying to locate a body, Gomez said. "There's a certain point after about a week or two where you have to think, the potential that the missing person is dead and now it's a matter of trying to find their body and bring closure to the family and to determine if you now have a homicide investigation, or suicide, or some kind of accidental death," Gomez said. As soon as police get a call reporting that someone is missing, they'll begin to evaluate whether the case even involves a missing person at all. Law enforcement then chooses how they will allocate resources to missing persons cases on a "case-by-case basis," Jeanis said. For adults who are reported missing, one of the things investigators look to first is whether the subject was displaying a-typical behavior. If someone called police to report that a spouse didn't come home right away, investigators will ask follow-up questions such as whether its unusual for him or her to go without contact for long periods of time, the experts said. "Sometimes they'll be like ... 'Oh, let's wait and see. There might have been an argument,'" Fox said, adding that the "best policy is rather be safe than sorry." 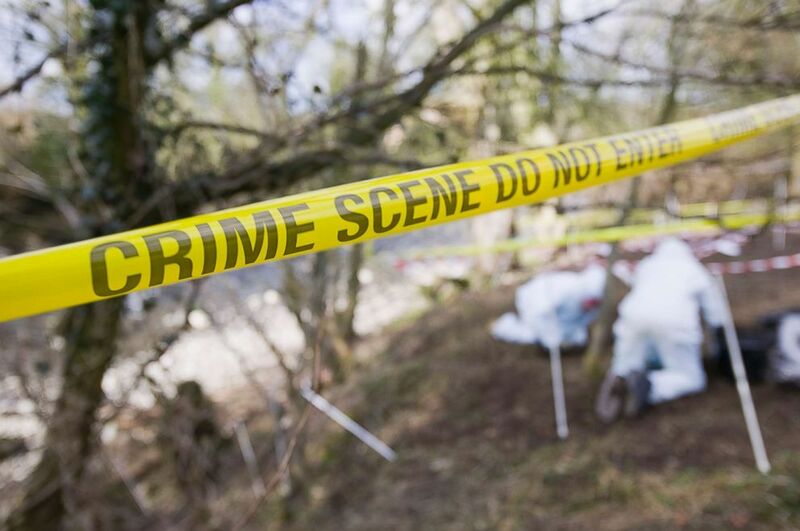 (STOCK PHOTO/Getty Images) A crime scene investigation is pictured in this undated stock photo. However, if the subject usually comes home at a certain time or they have left essentials such as keys, cell phone and wallet at home and are suddenly missing, law enforcement will take that information "into account and adjust accordingly," Fox said. In "serious cases" of missing children, in which law enforcement has a reason to believe the child has been abducted or is in imminent danger, an Amber Alert may be issued, Fox said. Amber Alerts were designed "especially for those kids who are perceived to be in immediate danger," but there is specific criteria for the level of danger the case must meet to warrant the alert, Jeanis said. For example, a runaway child would not qualify for an Amber Alert, Jeanis said. The reason for the selectivity, in part, is to not desensitize the public. Law enforcement wants the public to be "alert and aware" when a message is sent out, and too many could cause people to ignore it, Jeanis said. Once the subject is confirmed to be missing, investigators spring into action, setting up command posts, assigning agents to work the leads and organizing all of the information the investigation gathered, Gomez said. For the families, not knowing what happened to their loved one is the "worst thing," and investigators have that in the forefront of their minds as they search for the person, Jeanis said. Getting the word out to the public that someone is missing is "integral" to closing the case, Jeanis said. "Every family wants that media attention" to help find their loved one, Jeanis said. However, not all missing persons cases get the same media attention. Jeanis and Fox worked together on a project to determine how social media, traditional media and law enforcement's techniques could "help to bring missing persons home safely, sooner," Fox said. The study took all of the missing persons cases reported to the National Missing and Unidentified Persons System database and studied factors such as how many media reports were written about each person, how many words were written about each person and how long it took to find them -- alive or dead -- or if they were never found. The ongoing study has not yet been published, Fox said. "Research suggests that there's a disparity in media attention, especially at the national level, Jeanis said. Women received nearly 12 times more media coverage, on average, than male victims, while white victims received nearly three times as much total media attention than minority victims, as well as higher word counts within articles, Fox said. White, young, female victims -- often college co-eds or mothers -- "definitely get the most amount of attention," Fox said. Jeanis described the "phenomenon" as "missing white woman syndrome." In addition, the age of the victim correlated inversely with the word count within a story, with each additional year of age corresponding to a 4.4 percent decrease in the word count, Fox said. Social media has become a "huge asset to safely recovering people," purely due to the ease of spreading the message, Fox said. 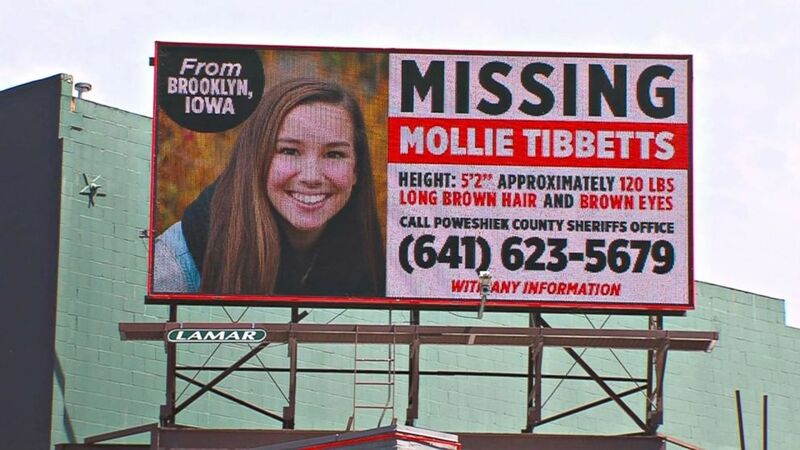 Fox used the example of Mollie Tibbetts, the Iowa college student who went missing in July and was found about a month later in a farm field. 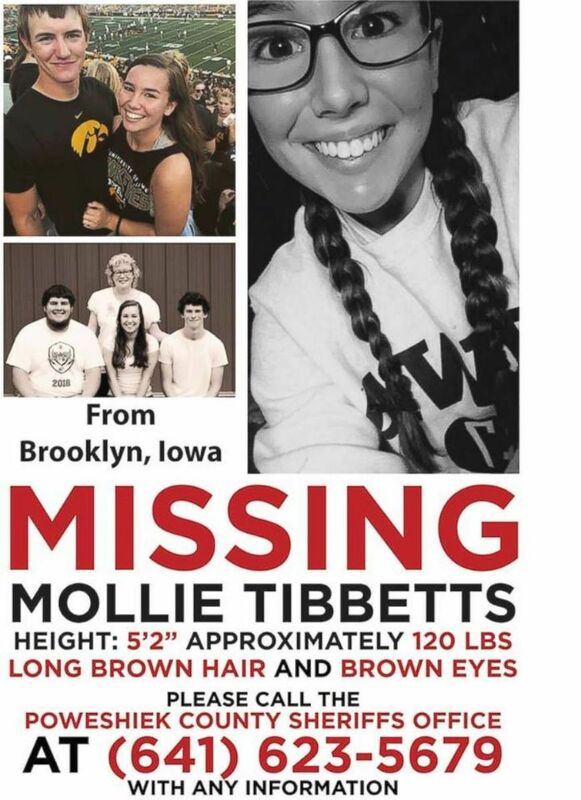 "There as tons of social media coverage over trying to find her, getting the word out," Fox said. "In our research, we're finding that that is an effective message." While people pay attention when seeing stories of missing persons on broadcast news, it "brings it a little closer to home" when they see someone they know or trust talking about it on Facebook or Twitter, Fox said. "You don't have to know somebody to reach somebody," Jeanis said. Gomez said the social media awareness "energizes the public to help the family and law enforcement," which generates leads. Fox and Jeanis also work with law enforcement to make sure they understand that posting information on missing persons on their social media accounts increases the odds that they'll be able to find them sooner. Before social media, law enforcement would release BOLOs -- or "be on the lookout" notices -- that would be posted to various neighborhoods, Gomez said. It is now the standard practice for those BOLOs to be posted to the law enforcement agency's social media accounts, Gomez said. The sooner an announcement is made, the more likely the person will be safely recovered, Fox said. It's not necessary to wait 24 to 48 hours before filing a report, according to Findlaw.com. When filing the report, give law enforcement a detailed description of the subject's physical appearance such as his or her height, weight and age, as well as any identifying markers such as a tattoo or birth mark. Be sure to include clear photos of the missing person. In addition, provide law enforcement with any details that may have contributed to the person's disappearance, such as whether they are mentally impaired or may have witnessed a crime.